New listingNissan Sunny Pulsar GTI-R,brake and clutch pedal rubbers,new genuine parts. New N14 Turbo,pedal rubber pair,for clutch and brake.New Genuine parts. 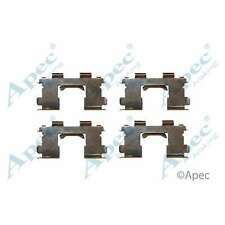 Nissan Sunny Pulsar GTI-R,brake pipe clamps,new pack of ten,genuine parts. To Fit: Nissan Sunny, Stanza, Bluebird (1978 on). Bluebird 1.6GL, 1.8GL 80-84. Bluebird Turbo ZX 1.8 U11 84-86. Bluebird FWD 1.6, 1.8, 2.0 U11 84-86. Sunny 1.2, 1.4, 1.5 120Y, 140Y, B310 78-82. Nissan 280ZX Turbo 2753cc 80-81. Autosessive! Drivetec 1 Year Warranty! Girling Front Caliper Repair kit Suitable For Nissan Sunny 1975 - 1980. Ø Product specifications are given but it is up to the end user to ensure that the product is fit for that purpose. This is an original quality part manufactured by Lucas. FOR NISSAN SUNNY II. 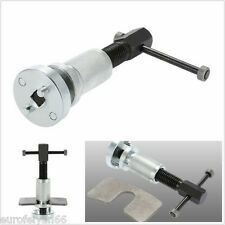 This is an original quality part manufactured by Elta. FOR NISSAN SUNNY II. NISSAN SUNNY B210 VAN. REAR WHEEL CYLINDER SEAL KIT. This is an original quality part manufactured by Lucas. Multiple choices exist for:NISSAN SUNNY 1.5 Brake Light Switch. FOR NISSAN SUNNY I. Part specifications. Vehicle compatibility. PART CHOICE ALERT. This is an original quality part manufactured by Elta. 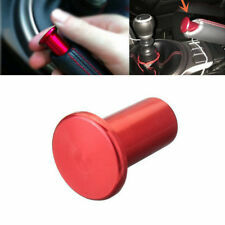 Multiple choices exist for:NISSAN SUNNY 1.5 Brake Light Switch. FOR NISSAN SUNNY I. Part specifications. Vehicle compatibility. PART CHOICE ALERT. MICRA MODELS. NISSAN~DATSUN. SUNNY MODELS. PEDAL PADS. CHERRY MODELS. BRAKE & CLUTCH. or take more pictures. are suitable for their cars. NISSAN 4320654C01. NISSAN 4320654C00. Brake Disc Thickness [mm]::9,5. We just want you and your car to be happy! You'll have the part ASAP. Eg, Vetech, Erst Klassig, Franzen, NK, etc. We will always attempt to rectify the issue as fast as possible! 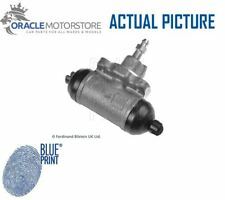 Rear wheel cylinder pair.Fits Nissan Sunny N14, Good quality replacement parts. Nissan Sunny Pulsar GTI-R,brake and clutch pedal rubbers,new genuine parts. Nissan Sunny Pulsar GTI-R,brake and clutch pedal rubbers,new genuine parts. New N14 Turbo,pedal rubber pair,for clutch and brake.New Genuine parts. Nissan 100NX 1.6 MPi B13 (09/93-10/94). Nissan 100NX 1.6 SPi B13 (01/92-02/93). Nissan Sunny 2.0 e GTi N14 (01/92-08/94). Part Number : ADN14204. Wash & Wipe. Be aware that your Model of Vehicle may have a choice of 2 / 3 different Brake Pads Set Options. Such variations can apply due to upgrade designs on later chassis numbers, or the manufacturers using different OEM suppliers during production process. Heater Motors. Suspension Ball Joints. Fan Couplings & Magnets. Belt Tensioner Wheels & Bkts. Brake Callipers. Brake Discs. Brake Master Cylinders. Brake Pads. 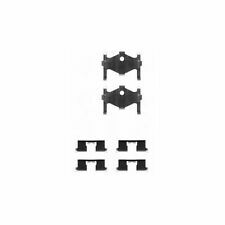 This is an original quality part manufactured by Elta. FOR NISSAN SUNNY I. Part specifications. Vehicle compatibility. 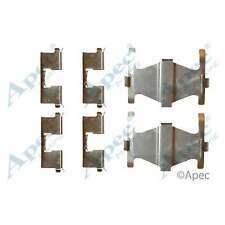 Part Manufacturer: Apec. Fitting Position: Front Axle. Contents: 2x Brake Disc (pair of discs). Disc Type: Solid. Nissan Sunny. Rear Pair of Brake Discs. 1 x Rear Aut-X Brake Discs Set. 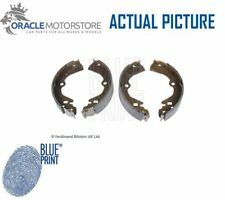 This Rear Pair of Brake Discs fits the following vehicles. Engine Fuel Body type Start year End year BHP Engine No. Engine Code Chassis No. This is an original quality part manufactured by Lucas. FOR NISSAN SUNNY I. Part specifications. Vehicle compatibility.